Hey there, welcome! I've been writing this blog for nearly 4 years now and it has become a wildly unexpected and wonderful experience! What started out as a fun place to share recipes, turned into a full blown career. But before I get into all that, this is a spot where you'll find healthy recipes that are fun and exciting, inspiring you to get into the kitchen and cook the meals you actually want to eat. And every single recipe can be adapted to suit your health needs - but mainly it’s a place for plant-based recipes with a side of seafood or eggs from time to time. Years ago, I left the urban city streets of San Francisco, to study Agricultural Business in university, and I learned all I could about food, nutrition, bee keeping (yup, that was an actual class), and everything in-between (literally - even a soil science class). I had no idea what I wanted to do, but I could not stop thinking, talking and enjoying food. So I left again to study in Italy and everything changed. I picked up a pan, some olive oil and learned how to cook for the first time by an Italian family. And guess what we made? Pasta! But pasta filled with vibrant greens, basil sauce and a mountain of roasted veggies. It was glorious. Comfort food done right. When I came home after that year, I bought a camera, took night-classes in nutrition and taught myself how to cook healthy plant-based meals. Fast forward a few years, tons of Instagram smoothie posts later, and I am now a cookbook author, recipe developer, food photographer and cooking video host -- specializing in recipes that are rooted in health. Many of the recipes are loosely focused on brining plants/veggies to the center of the plate, fresh fish (I’m a butcher's daughter), and a whole lotta dark chocolate. Everything I do here is for you -- these recipes, this space are always for you. I hope you love the recipes from the blog and my cookbook! 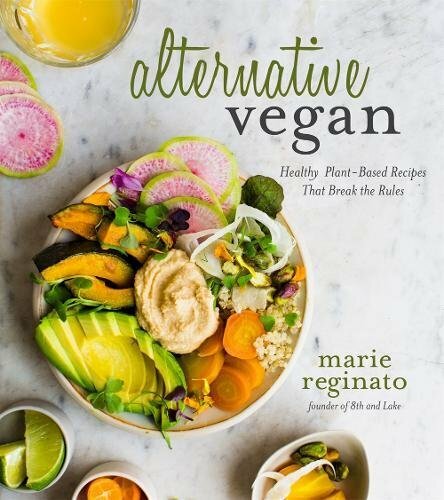 You can order my new cookbook, Alternative Vegan, internationally here!